When Should You Hire a Personal Injury Attorney in Los Angeles? When to hire a personal injury attorney in Los Angeles is a common question we hear from people who have been in accidents, as well as other personal traumas. If you have been injured in any kind of accident in which you were not at fault, hiring—or at least consulting with a personal injury lawyer—is something you should strongly consider. There are a lot of factors that play into a slip and fall accident, including the conditions of the floors and warning signage in the immediate area. If you have been injured due to a business’s or other entity’s negligence, you may be entitled to compensation and should consult an attorney. Tripping and falling can been caused due to uneven surfaces or obstacles in your path. Again, in such a case, it is possible that someone else is at fault, and is worth consulting with an experienced attorney to help you determine your best course of action. There are nearly 200,000 injuries from traffic accidents every year in California. While there might be some instances where no one is at fault, many times, one of the drivers is at fault in the accident. In this case, the driver and the owner of the car are responsible for any injuries sustained in the accident. With its beautiful weather year-round, Los Angeles is home to a large number of motorcycles. Unfortunately, it is also the county with the highest number of motorcycle fatalities (deaths) in the U.S. If a motorcyclist is involved in an accident, they are more likely to have serious injuries, which could leave them injured, unable to work, or worse. Often times the accident is the fault of another driver, and they need a personal injury attorney that will fight for the settlement they need and deserve. Have you or your loved one been the victims of an accident? Don’t wait. 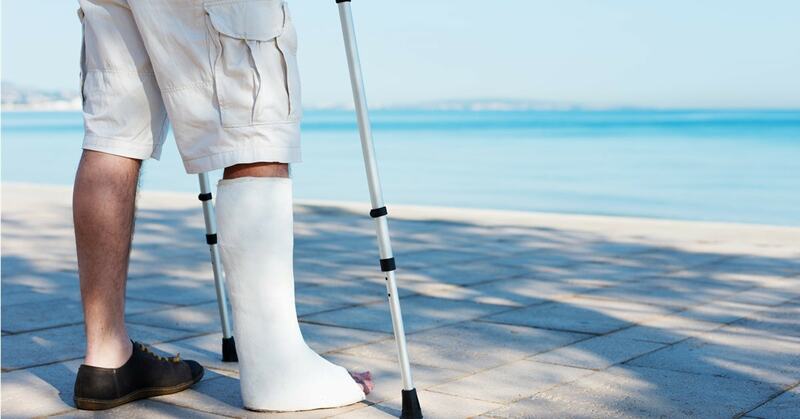 Get the legal help you need to get you back on your feet as soon as possible! Los Angeles County has the highest number of pedestrian accidents in America, with the highest number of deaths resulting from being hit by a motor vehicle while walking. If you have been injured in any way by a reckless driver, you should strongly consider contacting a qualified Los Angeles personal injury attorney right away. With Los Angeles’s great ports and need for goods, there are thousands of trucks on our roads and highways every day. An accident involving a truck can be extremely frightening and result in severe bodily injuries. Trucking companies’ insurance claims processes can be difficult to navigate. Los Angeles Rental car companies require drivers to either carry their own insurance or pay for coverage at the time of rental. Negotiating for damages with a major corporation like the car rental agencies can be challenging, and a personal injury attorney will often be your best bet to get a fair settlement. Bicycles are a great, healthy and eco-friendly way to get around Los Angeles. Unfortunately, motorists aren’t always respectful of cyclists. Even worse, they might be distracted and not notice a bicycle when making a turn, not yield right of way, or even open their car doors when bicycles are approaching. Bicycle accident injuries can be particularly severe, since riders are only protected by a helmet. Or any other injury that is making it difficult for you to work or take care of yourself and your loved ones, and you believe it was the fault of another person or business, you should contact a personal injury attorney as soon as possible! If you think you need a personal injury lawyer in Los Angeles and San Fernando Valley, The Law Offices of Ilona Gorin are here to help! We are a boutique law firm that specializes in personal injury litigation, such as car accident cases. We have successfully represented hundreds of individuals around LA in the more than ten years that we have been fighting for accident victims, and we look forward to the chance to help you get the settlement you need to recover and regain your quality of life. https://gorinlawgroup.com/wp-content/uploads/2018/07/When-to-Hire-a-Personal-Injury-Attorney-in-Los-Angeles.jpg 628 1200 sp33d0fl https://gorinlawgroup.com/wp-content/uploads/2017/03/Law-Offices-of-Ilona-Gorin.png sp33d0fl2018-07-31 12:26:042018-07-31 13:19:20When Should You Hire a Personal Injury Attorney in Los Angeles? Should You Accept an Auto-Insurance Accident Settlement Offer?